The BPS Edtech Team is thrilled to announce the first Tech Savvy Parenting Night of the 2015-2016 school year. This event is part of our ongoing Digital Bootcamp Series which was launched last year. Our September parent tech night, taking place on Monday, September 28th from 6:00-7:30 p.m. at the Marshall Simonds Middle School Library Commons features Alan Katzman. Katzman is the founder of the New York City based Social Assurity and is a nationally recognized digital citizenship expert. Katzman also serves as a member of the #digcit Twitter chat moderation team. Alan’s presentation, “Elevating Your Child’s Social Media & Digital Presence for Better College & Career Opportunities” will help parents and students understand how to leverage social media tools proactively and purposefully. The new reality is that “social media has completely changed the college application and job recruiting process.” Katzman will help parents and students learn how to showcase their skills and talents in innovative ways and ultimately get noticed by college admissions representatives. He will share how students can take advantage of social media to create an impressive and discoverable digital brand. And in today’s digital world, students and their parents MUST understand how they can use various technology tools to gain a competitive advantage and achieve their higher education goals. Don’t miss your chance to learn from one of the nation’s leading experts on digital citizenship! This event is open to all Burlington Public School parents. It is ideal for parents who have children in grades 7 through 12. 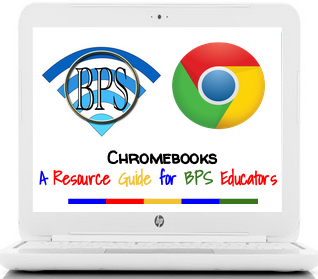 Pre-register is NOT required, however in order to prepare for the event, the BPS Edtech Team asks attendees to complete this Google Form. The BPS Edtech team looks forward to seeing you and your children on Monday, September 28th!